If you had asked me a few days ago when the first time I ever saw a teardrop trailer, I would have said less than a year ago, but I would have been wrong. 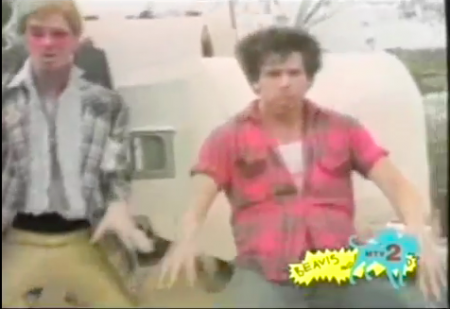 I was watching this video from Mojo Nixon called Elvis Is Everywhere yesterday. It’s a funny little video that I remember from my teen years. 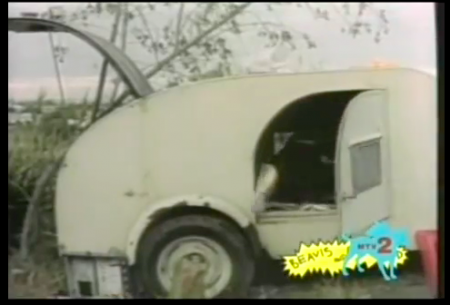 Imagine my surprise when I see an Elvis Impersonator come out of a teardrop trailer at the 2:32 minute mark. They’re also dancing in front of the trailer at the 1:38 minute mark. Somehow, teardrop trailers seeped into my consciousness in my formative years and I equated them with coolness, all thanks to Mojo Nixon. I find it ironic that Mike and I will be taking our teardrop trailer to Memphis and staying at the campground right across the street from Graceland this month. Can’t wait!